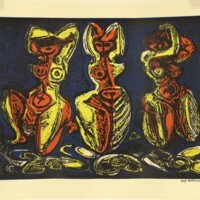 A color woodcut depicting three women in orange and yellow with blue background. It had edition number of 35/200. 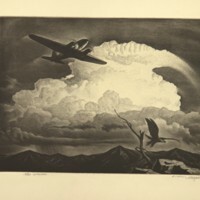 It is dated and signed by the artist in the lower left corner. 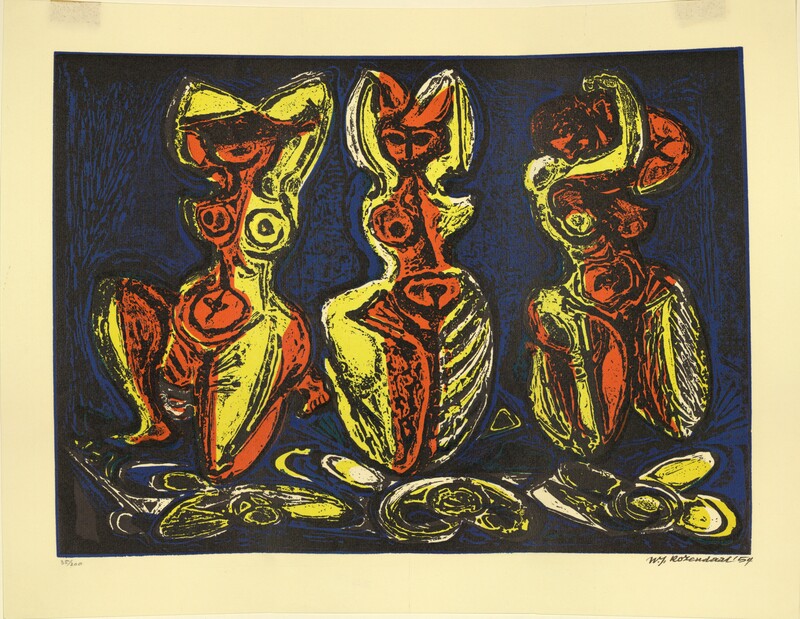 Rosendaal, W.J., “Untitled (Three Women in Orange and Yellow with Blue Background),” Digital Exhibits, accessed April 24, 2019, https://cuexhibits.wrlc.org/items/show/189.